Painting a woman face side view. 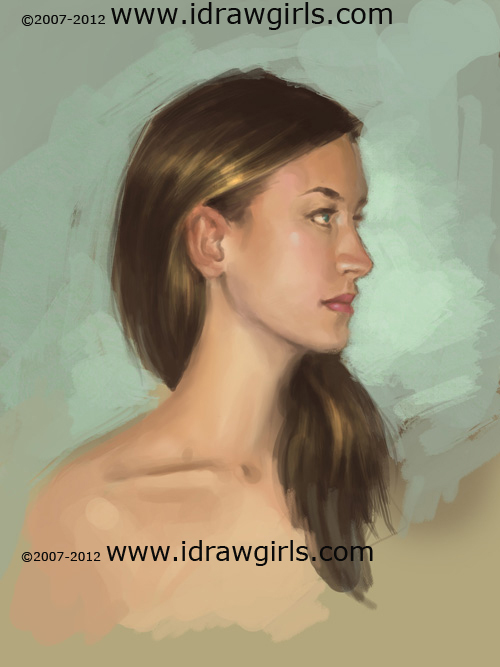 How to paint portrait profile or sideview of a woman, female. Here is another portrait painting I did a few day ago. It also takes me about a few hours. 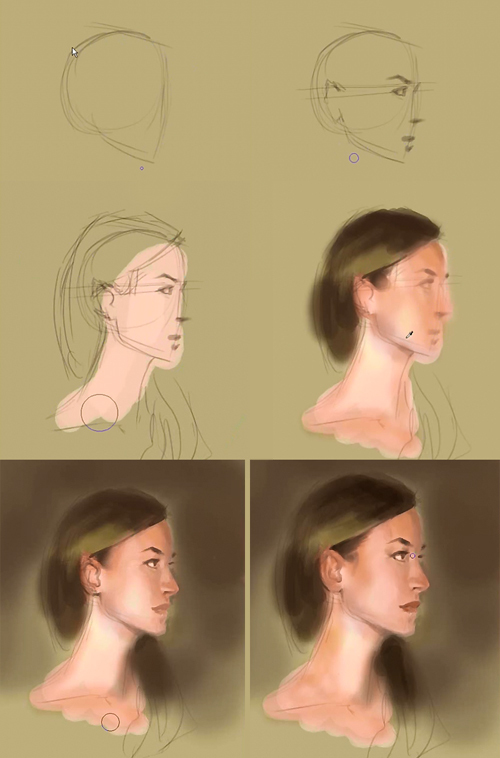 Below are step by step illustrated how to paint woman face profile or from side view. Step 1, I draw basic geometry shape to establish the head and jaw line. For really basic instruction on drawing the base facial proportion go to How to draw face. This one is more advance than just drawing face. In step 2, I start adding eye, nose and lips to the face from the side. Eyes usually lie half way in height of the whole head’s height. Then the tip of the nose is half way in between eye level and bottom of the chin. Then mouth is half way or close to the tip of the nose and the bottom of the chin. Step 3, I paint in base skin color. Step 4, I then paint in some darker color in particular area of the face. Step 5 and 6, I basically just finishing up the portrait.